Single Mama Looking For A Respecfult Man!! 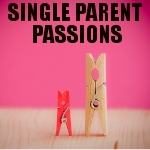 I'm a single mom, and it takes another single parent to truly understand what we single parents go through. I've enjoyed having my daughter to myself, but I don't want to be single forever and I want a man who loves kids and is ready and willing to accept a ready-made family. Does lostnsilence belong in this group? Like any single parent, I get a little busy sometimes. I can be serious but quick to laugh at myself and you too if you're funny. It's much easier telling someone about myself vs. typing it. I like men who are laid back and not emotionally needy. Does talltigress belong in this group? Does petalofroses38 belong in this group? Does ashes9532 belong in this group? single dad of boys looking for other parents single dad with boys would love to meet and hang with other single parents. Does liverbird39 belong in this group?